"Plays vs Downloads, why sometimes so much differences in your audience numbers"
-I see this all the time in the platform as listening happens in so many places and is dependent on the audience for a show and how the on demand program is featured and or promoted online or in content. Where the webplayer are and it appears you are pointing to website listening and that does not enable downloads correct. The audience for this show may just be consuming the show on website. It appears your accounts are not unlocked for seeing sources of listening requests. We also discuss "Adding Other Content Creators Show Feeds to Your Account is a No NO"
-These actions are a serious violation of copyright laws and our Terms of Service. We risk potential legal issues with outside content providers as you tried to make money from advertising off of other major media company content. These big companies don't need any help with unauthorized syndicating services for their shows. 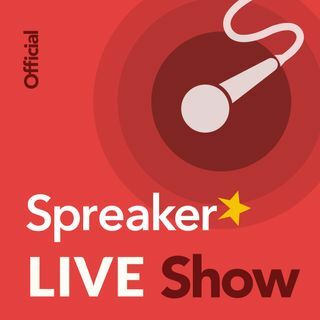 The Nerd of The Jock and Nerd Podcast: Hi Rob and Alex, Love the Spreaker Live show! I've been listening ever since I started my own podcast two and a half years ago. Love the knowledge you bring and love Alex's enthusiasm and rants! Keep up the great work! IN SLS126 you guys mentioned the genre of game show podcasts and wondered if any existed. They do! I am the host of Trivia Geeks Live, where we invite celebrity guest and pair them up with team captains through 4 rounds of various games and trivia live on YouTube. The points don't really matter, as the real goal is to have fun and promote our guests. You can check out the show at the links below! Re-uploads of other videos is a problem with video platforms, too. Very upsetting. I heard about one of our OTCR (spiritual content) shows having a pre-roll for feminine hygiene products. It has not happened since but that was kind of freaky. Lol... Audio comments only. Nice. I try to listen to this show as much as possible! Very informative! Hi Tamara, Thanks for Listening to the Live show today!